Just getting the band back together. 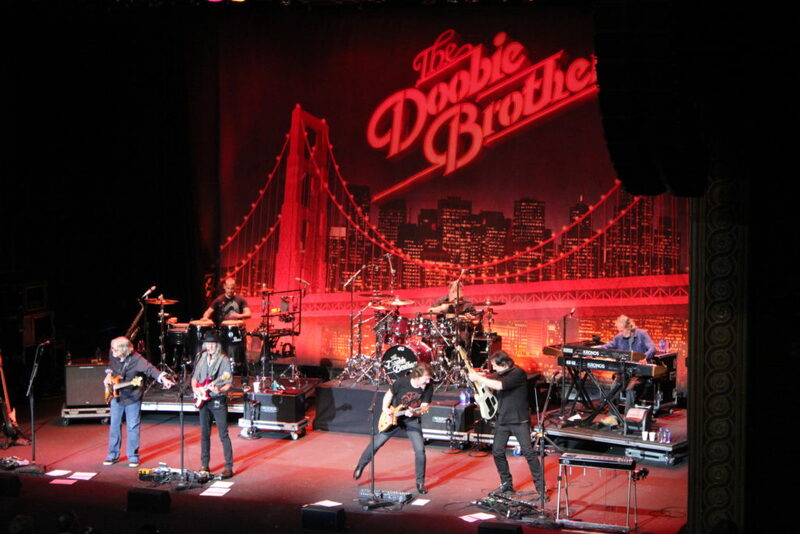 When you’ve had the career of The Doobie Brothers, a little tune-up is all that’s necessary to get the band ready for a summer tour sharing the bill with Santana. That tune-up began Tuesday night at Bergen PAC in Englewood NJ and honestly, the band is primed and ready. This little warm up consists of eight dates in smaller venues where the crowd can see as well as feel the magic. 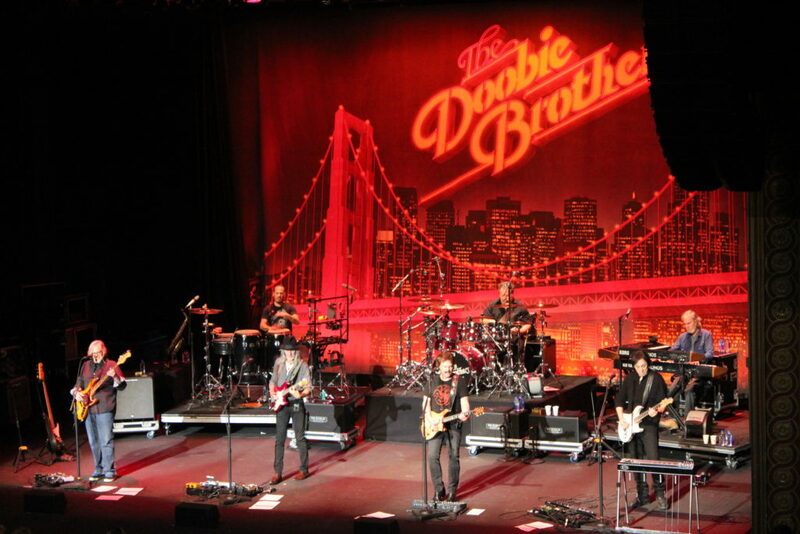 The Doobie Brothers played most of the hits with a nice mix of tunes spanning their catalog. Opening with the sweet sounds of “Natural Thing,” the small stage allowed for a nice intimacy between the band members. Next it was time to let the crowd know what this show was all about. “Rockin’ Down The Highway” certainly accomplished that. After a visit from “The Doctor” a little more acoustic with “Mamaloi.” It’s easy to take for granted how tight a band like The Doobie Brothers can be, and even on an opening night, the band was eager to get the crowd out of their seats. As expected, tunes like “Jesus Is Just Alright,””Rock Me A Little While” and “Black Water” kept the crowd engaged but the soulful longing of the pedal steel on “South City Midnight Lady” created a different level of joy. “Long Train Running” was a rockin’ and solid end to the set, before the band came out for a two song encore. 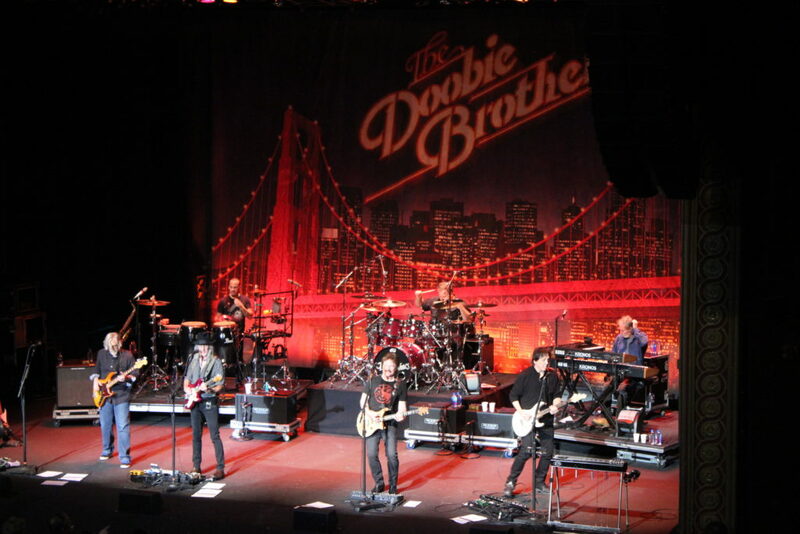 The Doobie Brothers train has been running down the road a really long time and they’re still firing on all cylinders. Brothers Pat, Tom and John are still at the top of their game as are the rest of the band. Marc Russo wanders the stage as his sax floats notes through the room. Percussionist Marc Quiñones and drummer Ed Toth seamlessly keep the audience tapping their feet while John Cowan lends his voice and his bass in keeping the rhythm. Bill Payne on keys always add a delightful sound and energy to the band. No weak links are to be found and after all this time, it still seems like they were having fun.